How to sing with confidence: Naturally some people have bags of confidence, but for the majority of us we have to work on how to sing with confidence. 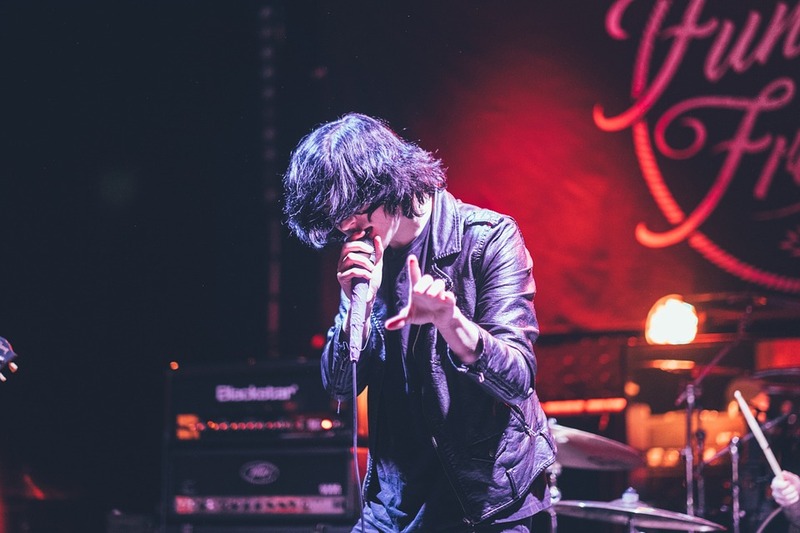 It’s important to be able to overcome stage fright, so learning to deal with the nerves is something that you need to overcome if you want to learn how to sing with confidence. Everyone has the ability to build their confidence, and it’s essential when performing and singing that you work on this before performing to an audience. Portraying confidence is an important ability for professional and successful singers. So what can you do to build up that confidence? It may sound obvious, but practising is an easy way to start when learning how to sing with confidence. By practising your song over and over again you will become more comfortable singing it. The more comfortable you are with the song, the more confident you’ll be with performing it as a result. It’s also a good idea to practise in different settings so you become confident singing in more than one surrounding. Practise with a microphone or prop (as silly as it sounds, something like a hairbrush or bottle) and as you intend to perform to an audience on stage. Filming your performing on your phone or camera to watch back at yourself is helpful to see how you can improve. Then consider performing dry runs in front of trusted friends or family. This will hopefully make your performance second nature and you’ll know exactly what you need to do when on stage. Another how to sing with confidence tip is to know your songs inside and out. If you are not 100% in knowing the words, phrasing and the way you wish to sing your song, under pressure this may come under strain as you will be concentrating on those aspects rather than others, such as performing to your audience and connecting to the song. Always watch your performance back and make adjustments to it until you are completely happy with it. Also watch YouTube videos to study how other singers including your favourite artists express emotion and perform. Hopefully you can adapt elements of their performances to perhaps use in your own. Study their mannerisms, how they use the space on stage and how they interact with the audience; this will help you incorporate important elements of performance into yours. A good tip when working on how to sing with confidence is to work with a professional singing teacher can help you to build vocal confidence. A good vocal coach will be able to identify the strengths and weaknesses in your vocals and can help you to develop these areas. Don’t ever be put off by mistakes; don’t let a mistake knock your confidence. If you use every mistake as a lesson you’ll begin to learn what not to do with your voice and your performance. It’s important to remember even professionals make mistakes from time to time; no matter how professional you are you just have to recover from them and move on. The easiest way to build confidence with your vocals is to just enjoy the experience. Performing is vital in learning how to sing with confidence. When you’re performing and it’s clear that you’re enjoying the performance, it rubs off on the audience, giving you a better reception from them. Having a responsive audience is a huge confidence booster! Try and apply it to every performance. Practice so that your performance is rehearsed to the full and becomes so ingrained you can’t forget the words or how you are going to perform. Using your phone to film yourself performing dry runs will hopefully make it clear what you will be doing when on stage and thus second nature. Hot tip! Amateurs practice until they get it right; professionals practice until they can’t get it wrong!